Right now, many of the world’s developing countries do not have access to clean water, proper toilets and good hygiene. As a result of this, girls are dropping out of school due to the lack of proper sanitation, people are walking miles to find water and millions of people are dying of water-related diseases. 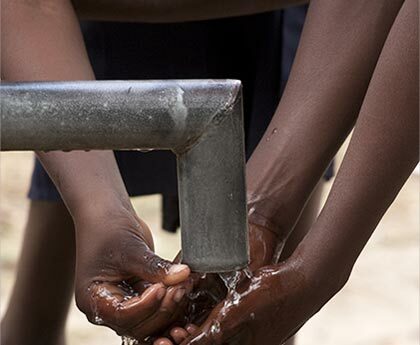 Can you imagine life without safe water or decent toilets? Well, the reality is that millions of people are facing this struggle on a daily basis. Everyone should have access to clean drinking water. But that’s not all, an adequate water supply is also important for washing, cleaning, cooking and growing food. WaterAid is the world’s leading water sanitation and hygiene charity with over 30 years of experience in helping those places most in need. In 2010 Water Aid International was officially formed for the purpose of ensuring the availability and sustainable management of water and sanitation for all. At ELF925, we see the importance of this basic human right. This is why from June 1st to June 15th 2017, we will be donating 5% of total sales to WaterAid with the aim of helping them transform the lives of others by providing clean water to those in need. Should you wish to make a donation to WaterAid please click here. If you want to have more information on the WaterAid International Organization please visit their official website.